Sasanian Kings. Vahrām (Bahram) IV. AD 388-399. AR Drachm. 25.16mm, 4.03gm. 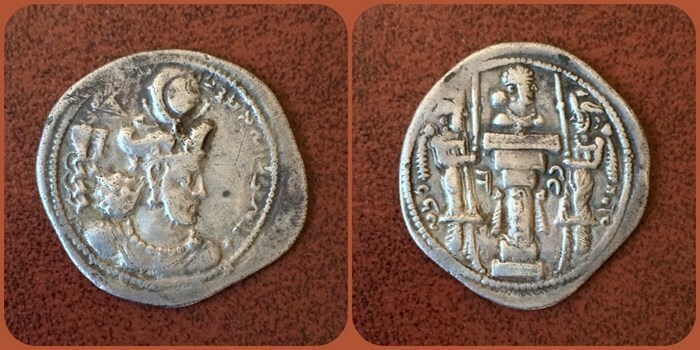 AS (Aspahan or Aspanvar) mint. Bust right, wearing winged merlon crown with korymbos / Fire altar with ribbons and bust right (no flames); flanked by two attendants; “as” flanking altar shaft, “l’st” on altar shaft. (all references. have mint signature to left of flames). Good very fine. Rare.